Every veteran classroom teacher worth their grain in salt will tell you that rituals and routines are a necessary part of the management of their students. It would be impossible to manage a room full of 2nd graders who decide to walk into their classroom and pick what they want to do! It is ineffective, and it will bring you one step closer to insanity! The same holds true for media centers. The management of library is an art. It takes a lot of finesse because of the many hats that librarians wear. Just as a classroom teacher has a routine for when you can sharpen pencils, the same must hold true for the media facility. The first full month in the library should be solely dedicated to teaching rituals and routines. These will help students in the event that they transfer from one school to another, but also will lead to automaticity and a sense of true ownership in their library! How do you want them to walk in? Will they sit in assigned seats (HIGHLY RECOMMEND!!)? Will you have the supplies at the tables or in designated areas? Will students retrieve supplies on their own? What is your procedure for a broken crayon or pencil? Can students sharpen pencils at any time? If not, when can they? How will you manage incoming and outgoing books? 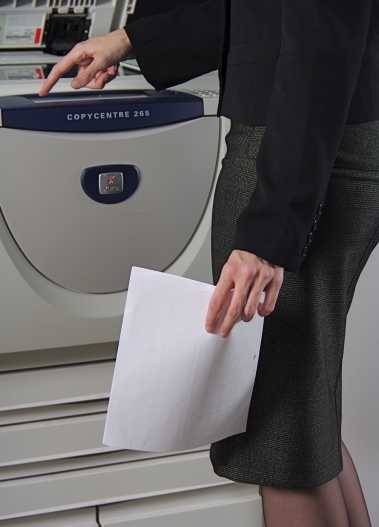 Is your drop slot conveniently located? Will students drop off books as soon as they enter? How should students approach the check-out counter? 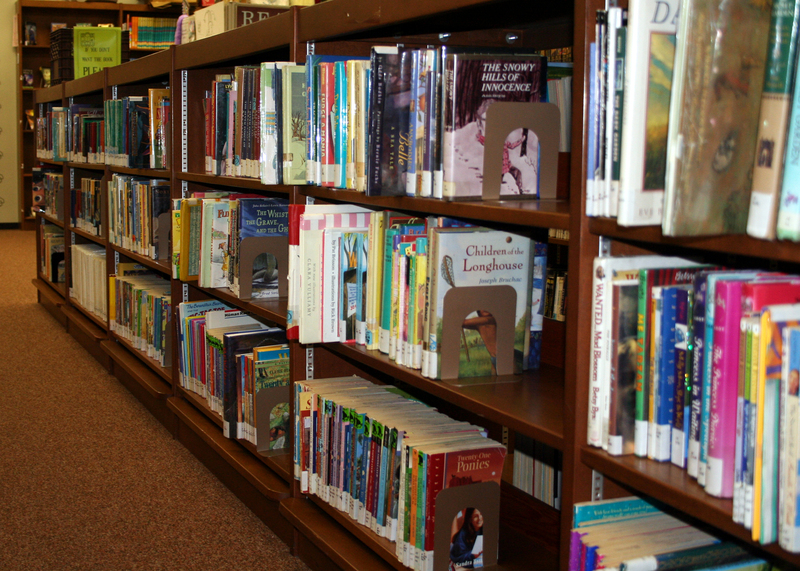 Do students need library cards or other items to check out books? How long will book check-out last? How long will your average lesson last? 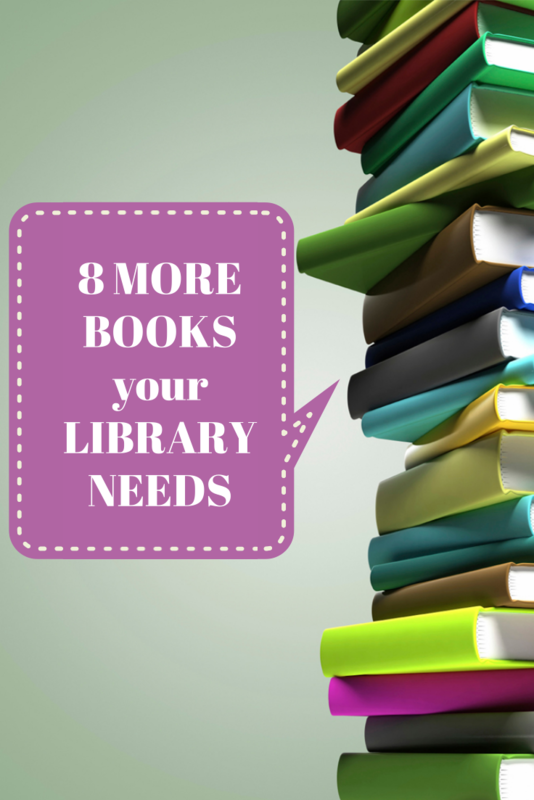 How long will your centers last (if you are a centers-based library)? Management of time sounds easy. However, it takes time to figure out. Remember that time when you finished your lesson early and the kids were looking at you and waiting for what comes next!? The problem was, you had no “next”! By managing your time, you will find this rarely happens! Invest in a timer – and use it! 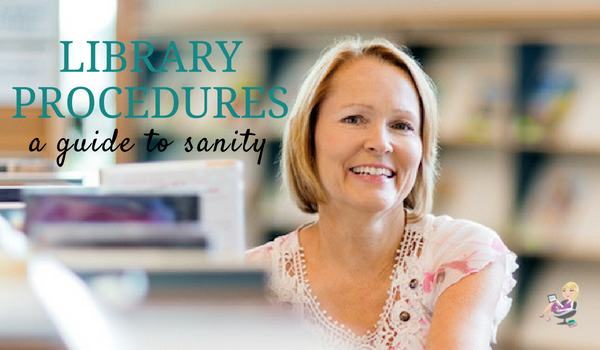 Which of these procedures will you incorporate into your library this year? Share in the comments! This post is written by Tracy Blunier. Tracy has been a school library media specialist for five years. She currently works in a primary school (grades K-2). She is a former classroom teacher with a passion for management. Tracy loves organization. She also loves using every resource possible to streamline operations and allow students as much independence as possible. Do you have advice for fellow librarians? If so, why not write for Elementary Librarian? I'm interested in library centers for primary students K-1. I'd like to know how you use them, how long each rotation would be, how many students per rotation. Etc. I have been wanting to add them one day a week...thoughts and suggestions are welcome. 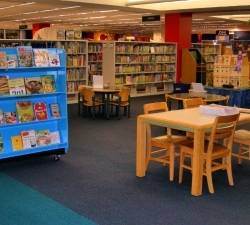 I'm moving from middle school to an elem library and am looking for effective routines for the library. I like the sound of the multicolored mats for each table, grouped according to class, but an not sure what you do with the 1/2 index cards that you glue to the mats. Do those have the students' names and barcodes on them? Do students remove them to check out books? Do they come to the circ desk as a group with the mat when they check out books? In my library I take half a sheet of construction paper, write the table number and the names of the students who sit at that table on it, then lay them out at the beginning of every class. The students know what table to go to and it also helps me remember names. I can update the sheets easily if students move or I decide to change seats for behavior. In the past I've printed out library cards with a barcode that I label and keep in table order so I can easily disperse them. I am in need of some help. Do you let your first grade students checkout chapter books? I have the library chapter section seperated in to easy chapter (5 chapters or less), Nonfiction, Fiction (Everyone). I have limited them to the easy chapter I also try to get students to pick books from different areas of the library. Second grade students are allowed to checkout 3 books at a time. (1 from the nonfiction, 1 chapter, 2 easy chapter, or 3 everyone) Does anyone else do this or is this something that should change? I have been ask to let first graders check out chapter books. How do any of you feel about this? I let my K and 1 classes choose books from the tops of the shelves that I lay out at the start of each class. This has a selection of Fic and NonFic books. After Christmas for 1 I start showing them shelf markers and going more into abc organization, then going into nonfiction (just looking at stickers for subjects for dogs and cats). 2 I let them use shelfmarkers for picture books the first couple weeks, then after review go into nonfiction. After Christmas, they can go into Fic and Series, as long as it is not grossly over their level (no Harry Potter for a 2nd grader). 3, 4, and 5 pretty much have free rein on where they can get books, as long as they maintain their levels. I do not have a requirement for must get one Fic or one NonFic for my students. If a teacher imposes a limitation, I will enforce it but I do not set any other restrictions. Where did you get the fabulous READ sign over your shelf? Very colorful. Would love to reproduce. For first grade, at the beginning of the year, they can only check out from the easy aisles. I also have easy non fiction pulled for them to choose from. The teachers let me know when the children are ready to move up to easy chapter books. Also, for checkout procedures, students use their state ID number. All students have a special number they use for breakfast and lunch (they have to type it into a device at the register) The library uses the same number. I have a number keypad attached to my computer that they use to type in their numbers, then we check their books out. No need for barcode books or cards....very simple.